Most owners of Android smartphones use them exclusively for communicating with other people. However, today the phone has much wider functional – not just phone calls and various Internet services. Few people know that they can use their smartphones as a remote control for the computer, TV or robotic mechanism. 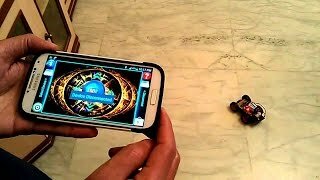 For example, you can connect a toy robot with the NXT controller to Android via Bluetooth and control it. In this article, we will talk about these and other features. Nowadays, any schoolchild can assemble a remotely controlled toy robot using the Lego Mindstorms constructor. Military designers took part in developing the concept of this toy. Such a robot is able to solve adult problems. NXT controller acts as the brain of such robots. It consists of two microprocessors, Bluetooth module, LCD display, speaker, battery, various sensors and servo drives. Thanks to the built-in wireless module, the user can control such devices from his Android phone. There is special software for this purpose. There are several applications for remote control and they were created by different developers. They all have roughly the same number of functions and differ mainly in the interface. We will provide a few links to such applications. It is available in the Google Play on this link. You can watch the official video, which demonstrates how to control such robots and how to use this program. It is an alternative to the previous application, and you can download it here. The example of its work is shown in the video. You can also find the link to this video on the app’s page in the Google Play. After assembling the constructor, activate the Bluetooth detection mode according to instructions. Turn on the Bluetooth on your smartphone. Search for available wireless devices. Find the name of your toy in the list and click it to create a pair. After connecting, open the downloaded program. Find supported devices (the program will detect your robot). When the program is connected to the toy, you can start controlling it. If you are interested in the described constructor, there are the Lego solutions in the stores. You can buy a complete set of all the necessary parts to build your own unique robot. Here is a link to the catalog with the products of the official Lego partner. This constructor has an official application with the original Lego interface. 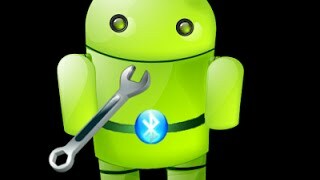 If you are not interested in robots, then it will be useful to know that you can control almost anything on your computer using your phone. The Unified Remote program was created for this purpose. It allows controlling the video player, music player or XBMC home entertainment system. It has a special function of the XBMC remote for Android via Bluetooth. In addition to controlling different computer multimedia services, this app can act as an ordinary touchpad, keyboard, file manager, browser management tool etc. The full version of the program has about 70 different control functions. You can download the Unified Remote from the official site. You can find more information about the Unified Remote in our article, in which we showed how to install the program and pair it with your computer. In addition, we have shown an example of using the basic functions. Of course, we have not demonstrated all the examples of using your smartphone as a remote control. Actually, modern Android has much more features, and only your imagination can be the border.